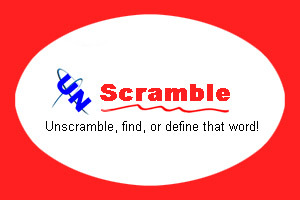 Unscramble.net hosts a set of word-play tools that do it all. This is a great tool for plenty of word puzzles, but it contains a set of amazing tools perfect for cracking a crossword. Crosswords expect in depth knowledge of general and specific knowledge to solve their pithy trivia. They often can go unsolved, even with a group of friends and family all hunched over the newspaper. Check out the tools that will give you an edge next time you start a puzzle that’s been popular for most of a century. The best search for solving a crossword on unscramble.net is titled ‘Crossword Finder’. You simply need some known letters in a word. Lets say you know the word you are solving is 6 letters long and have 3 letters from nearby solved words. You input the word with question marks (?) replacing the letters that are blank. ‘?EY? ?D’ will have results of ‘BEYOND’ and ‘KEYPAD’ while having less information like ‘??Y?? ?’ might output around 150 results to sort through. The more letters you have, the easier it is to pinpoint an answer. There is also a tool called ‘Find’ that lists words with a grouping of letters you input. You also specify whether that letter grouping is at the beginning, middle or end of possible word combinations the search is to output. Unscramble.net includes a dictionary and thesaurus tool. Simply enter the word you want defined, and it will output the definition of multiple forms of the word, as well as, give you antonyms and synonyms. This may not help you with crosswords, but it is equally a powerful tool that is great for word puzzles like the word jumble. If you input the letters ‘sowdr’, the unscrambled results will be ‘words’ and ‘sword’. Another fun tool, while it may never help you solve a crossword or similar word puzzle, it could potentially help you find the right words to complete that song or poem you’ve been struggling to finish. It even lists the resulting words by syllable length.